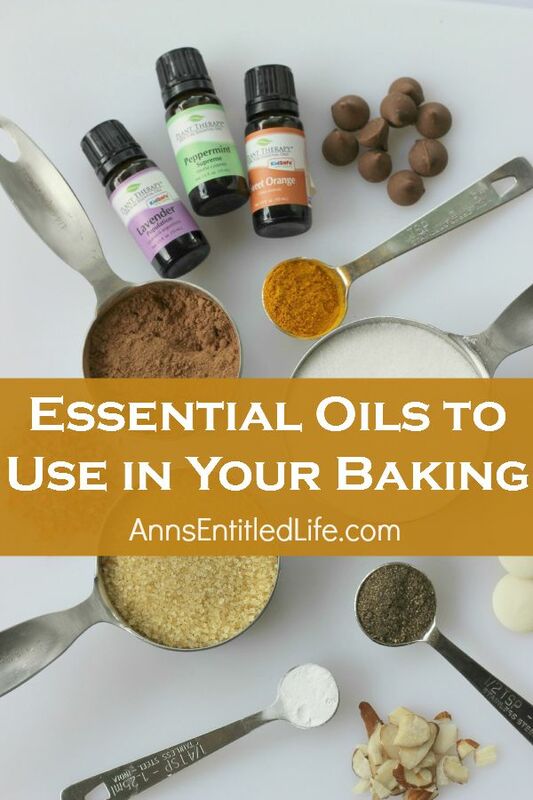 Add these popular essential oils to your kitchen cabinets so they are easily accessible for you to add to your baking recipes. Essential oils are useful for so many things, cooking and baking included. There are several oil choices that work wonders to enhance the cakes, muffins and cookies that you love to bake, and even more that you can use to sneak into the favorite treats of family members for their health benefits. 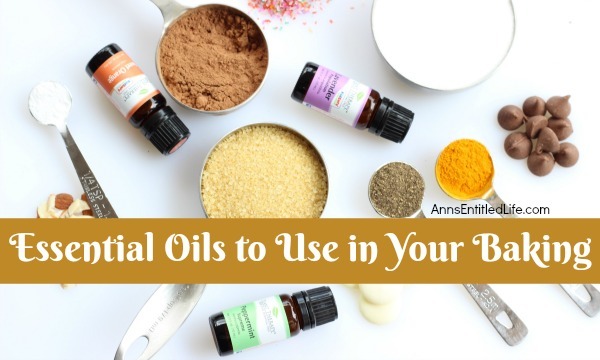 If you love baking and are interested in adding popular essential oils to your recipes for an enhanced flavor get ready to experiment with some of your favorite oils. Lavender essential oil, added in very small doses makes a great addition to cookies, cakes and puddings. Lavender Essential Oil goes best with very light or buttery baked goods so consider adding Lavender Essential Oil to treats like shortbread, lemon cake and sponge cakes. Many recipes that already call for lavender buds to be used in the mix can be replaced with the essential oil, but you do not need the large amount that you’d add for dried florals. If you love making cakes and treats that use mint flavored icings and creme, then Peppermint Essential Oil is going to be a favorite essential oil. Even used in cookies, ice cream, scones, along with other flavors, this oil gives everything a cool, minty taste. Pair this Peppermint Essential Oil with chocolate and strawberry based desserts for the best results, and you only need one or two drops to flavor an entire cake or batch of icing. If you are a fan of citrus, and treats that feature orange blossom, then Orange Essential Oil is going to tickle your taste buds. Orange Essential Oil is a bright, tangy oil that can be used in addition with other herbs to flavor muffins, cakes, cookies and just about every type of baking good. This flavor of Orange Essential Oil is not as strong as other essential oils so you want to taste test the batter with each drop. Usually two to three drops of Orange Essential Oil for a cake or batch of muffins is more than enough. Rose is such a light and exotic flavor; most people do not realize it cannot be used in their baking goods. Rose Essential Oil is light, slightly floral and flavorful so Rose Essential Oil makes a great top flavor for something that is stronger food taste. Rose Essential Oil is great mixed into frosting, icing, or as a filling in rich cakes. If the filling is strong, a cake flavored with rose essential oil will turn pair nicely because it is so light and fresh. Note: Essential oils are very strong and even non-toxic essential oils may be irritating if not used carefully and sparingly. Do not overuse an essential oil in your food or drink. I purposely linked to essential oils that are listed as “food grade” on the company’s website. Make sure whatever essential oils you use in food are fit for consumption. Please remember that none of this is meant as medical advice. I am not a doctor, and do not play one on the internet. Please consult a physician if you have any questions about using essential oils so your doctor can better explain to you the benefits, possible side effects, and any warnings about essential oils. I want to make an orange cake using my essential orange oil. I’ve been told you can’t bake with essential oils because you can’t beat them over 120 degrees of their flavors distort. Is this true? What are your thoughts? Do you have any tips to offer before I explore this? Laura you can’t just use any essential oil to bake with. Use food grade. This page on LorAnn essential oils gives even more tips. But the short answer is yes, you can bake with some essential oils.